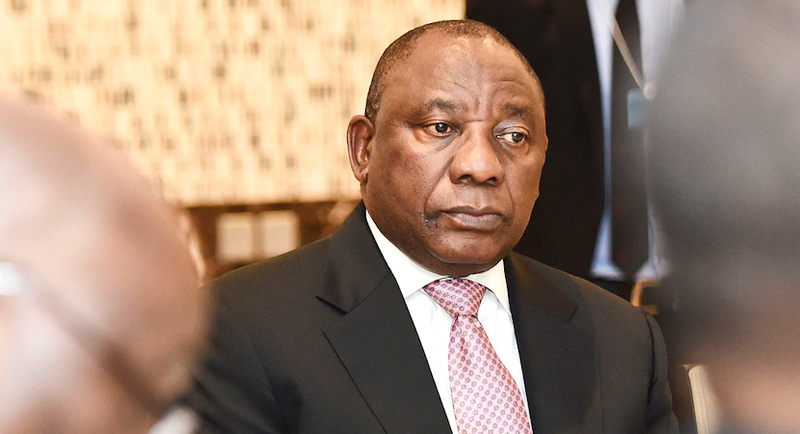 Cyril Ramaphosa has promised to use his private sector experience to grow South Africa’s economy in order to tackle the malignant trifecta – unemployment, inequality and poverty – by building a ‘book’ of investment, inter alia. The success of constructing this ‘book’ is heavily linked to the government’s financial health. After all, the latter determines, to a large extent, its policy stance and by implication the viability of the investment environment. Although not too wedded to pessimism, I would like to offer a few remarks about the state’s finances, which may simultaneously highlight government illusions and focus the potential investor’s mind. A full-on interrogation of the government’s record of assets and liabilities and its income statement is a major preoccupation for those who prepare political risk profiles on behalf of greenfield and institutional investors, both local and foreign. Let’s start with the South African government’s balance sheet. The assets for the most part include state-owned land and state-owned enterprises (SOEs). The former may be doled out, as part of the ANC government’s ambitious land reform initiative, and it’s very likely that the stream of future earnings generated by the gifted land will be negligible. SOEs have, especially under Zuma’s tenure, been financially mismanaged, plundered, and purged of skilled, experienced staff, which gave rise to what ANC politicians obliquely refer to as ‘a lack of capacity’. The reliance on the provision of government guarantees has become commonplace, currently equalling R450 billion. Moreover, most SOEs have an aging stock of capital, low productivity rates, rising contingent liabilities, inflated workforces, liquidity constraints, and reliance on bailouts to keep afloat. Eskom and SAA pose the most immediate challenges for the Ramaphosa administration. Currently, Eskom is the single biggest recipient of state guarantees (i.e. R221 billion) and requires more (unless parts of it are privatized). Requested increases in electricity tariffs, as part of its ‘revenue clawback’ initiative, will surely further cripple financially constrained consumers and businesses. Eskom is overstaffed – the World Bank estimates overstaffing at 66 percent (31 000 out of 47 000 workers) and argues that productivity rates are appalling: an employee at an equivalently-sized Indian power plant produces about 40 times as much electricity as his/her Eskom counterpart. SAA reportedly asked government for R5 billion to cover current operating expenditures and its balance sheet shows negative equity of R9.2 billion. Historical losses, overstaffing, exchange rate volatility, poor management practices, a meddling board, a paucity of working capital, the continued operation of loss-making domestic routes, and maturing loans may scupper the parastatal’s ability to remain a going concern. Overstaffing is worth mentioning: British Airways (BA) in 2012 had 154 employees per aircraft, whereas SAA had 957 employees per aircraft (i.e. 5.2 times more workers to service a single plane). On the liabilities side, one would consider public debt – convention suggests that developing nations, like South Africa, should not exceed the 50 percent of GDP threshold. When Zuma ascended to the ANC’s top job, public debt amounted to 27.8 percent of GDP. Fast forward to December 2017 and the public debt had grown to 53 percent of GDP. Weak growth, financially vulnerable SOEs and their inability to roll over debt, poor tax collection and social spending pressure will only exacerbate the growing debt problem. The income statement does not make for much better reading. Revenue collection is anaemic, which is mainly due to pedestrian economic growth, falling tax morality, and the politicisation of SARS, inter alia. Three pressure points on the expenditure side deserve special mention. First, government borrowing costs have soared – about 13 cents out of every R1 tax collected is interest paid to foreign lenders (i.e. R162 billion in 2017/18). Second, the public-sector wage bill has increased by 10.3 percent per annum since 2009 and is projected to be about R587.1 billion for the current fiscal year (i.e. 32.5 percent of total government spending or 12 percent of GDP). Interestingly, in the third quarter of last year, 48.9 percent of all tax revenue collected was spent on state wages. More worryingly, the latest wage deal exceeds the estimate contained in the 2018 Medium Term Expenditure Framework by R30 billion. ‘Restructuring’ the civil service will be tricky – large-scale politicisation of state organs has occurred over the years via a system of ANC-cadre deployment. Finally, the social security network in SA is overburdened and its operation unsustainable – between 2001 and 2016 employment numbers grew by 24 percent, whilst the number of social grant recipients increased by 328 percent. During the 2017/18 financial year, about R150 billion will be spent on social grants and poor economic conditions may force more people onto the social security network. Even if the Ramaphosa-led government manages to fix its finances, one pressing question remains: Is a strong balance sheet and a budget surplus enough to erase investor fears about the ANC’s socialist fantasies? Only time will tell. Dr Mario Du Preez is an economist, political commentator, and a South African expat living in Exeter, UK. He is a regular contributor to the Western Morning News, a regional newspaper in South West England.